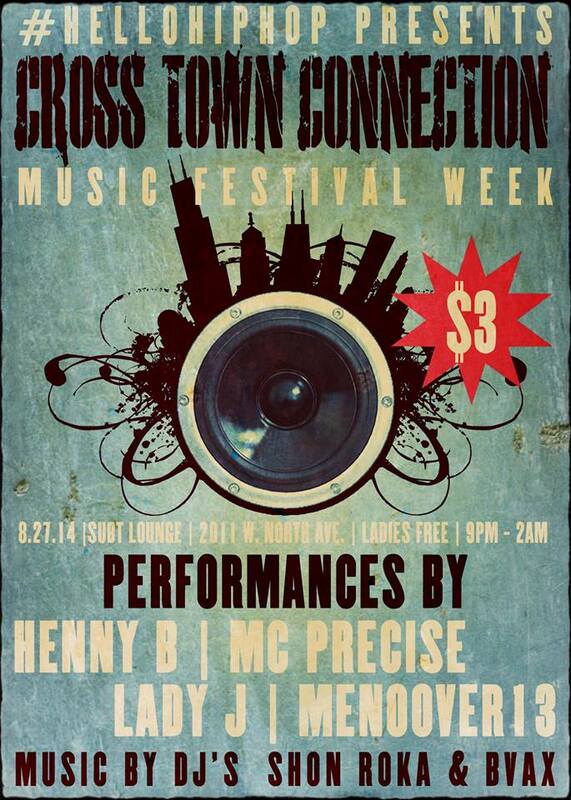 See you on the 27th at Sub T in Wicker Park! Ladies FREE, Fellas $3. #HelloHipHop Cross Town Connection Music Festival Week. This entry was posted in Precise Press by Precise. Bookmark the permalink.